Last weekend saw the annual education evidence fest – aka- ResearchED 2018 take place in St John's Wood, London . Unfortunately, one of the inevitable disappointments of attending #rED 18 is that you are unable to see all the speakers that you would like to see. As such, you are often have to do with other people’s summaries of speakers. So I was particularly pleased to see Schools Week come up with a headline and article ResearchED 2018 Five interesting things we learned. I was even more pleased when I saw it contained a short summary of Dr Sam Sims presentation on the positive impact of instructional coaching and references to the statistically significant positive effect of instructional coaching being found in 10 out of 15 studies, which was then used to infer that “probably the best-evidenced form of CPD currently known to mankind”. Writing about when RCTS have been conducted in a variety of circumstances, Cartwright and Hardie argue these results can help in justifying a claim that an intervention is effective i.e. it worked somewhere or in a range of different somewheres. However, this does not provide direct evidence that the intervention will work here in your circumstance or setting. Cartwright and Hardie argue that seeing the same intervention works in a variety of different circumstances, provides some evidence that the intervention can play a causal role in bringing about the desired change. It may also provide evidence that the support factors for the intervention to work occur in a number of different settings. On the other hand, an intervention working in lots of places is only relevant to whether an intervention will work here, if certain assumptions are met. That is, the intervention can play the same causal role here as it did there. Second, the support factors necessary for the intervention to play a positive causal role here, are available for some individual post implementation. Cartwright and Hardie go onto explain about how ‘ it works there, there and there, is supposed to provide evidence that it work here. So X plays a causal role everywhere. For this argument to be robust – it requires research studies/RCTs from a wide range of settings. In addition, it requires the observations to be generalisable across settings, but also what types of settings that they are likely to be generalisable. In addition, it is necessary to take into account the causal connections at work, and how they are influenced by the local support factors. Domestic animals expect food when they see the person who usually feeds them. We know that all these rather crude expectations of uniformity are liable to misleading. The man who has fed the chicken every day throughout its life at last wrings its neck instead, showing that more refined vies as to the uniformity of nature would have been useful to the chicken. As such we ourselves may be no better positions than the chicken which unexpectedly has its neck wrung. First, be wary of headlines or soundbites – it’s rarely that straightforward. Second, if you can, access the original research which was used for the headline and read it for yourself, as there may be a range of nuances which you need to be aware of. Third, if you thinking that instructional coaching might have potential for your school, you need to spend time thinking about the causal roles and support factors necessary to give the intervention a chance of working. Indeed, you may want to have a look at this post on causal cakes. Fourth, as Cartwright and Hardie argue – thinking about causal roles and support factors is difficult and hard work and is difficult to get right every time. However, it’s not beyond you and other colleagues to have a serious discussion about what’s necessary to put in place in order to give an intervention every chance of success. In next week’s post I will be using the work of Kvernbekk (2016) to explore in more detail the challenge of making what worked there work here. Cartwright, N. and Hardie, J. (2012). Evidence-Based Policy: A Practical Guide to Doing It Better. Oxford. Oxford University Press. Kvernbekk, T. (2016). 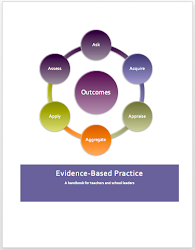 Evidence-Based Practice in Education: Functions of Evidence and Causal Presuppositions. London. Routledge. Very nice post, I just stumbled for your weblog and wanted to say that I’ve really enjoyed surfing around your blog posts, as they are highly knowledgeable. Contact us for QuickBooks Support Phone Number and QuickBooks Payroll Support Phone Number. We also offer services for QuickBooks Proadvisor Support. It is a perfect post for the business people who are worried about building up a decent school work-place and need to Professional Assignment Writing Services work environment stress and turnover. It contains the information I was chasing down and you have moreover cleared up it well. Appreciate perusing the article above ,truly clarify everything in points of interest the blog is extremely interesting and viable .thank you and good fortunes for the up and coming online journals. Thanks for this Gary - I read this when you first published it and have just re-read it today. Hoping to make a citation in my new book (Sept 2019), so will be in touch if it makes print. Hope you are well, Ross. Dr Gary Jones, @DrGaryJones, worked in post-compulsory education for over 25 years. Gary has a doctorate in educational management from the University of Bristol and is interested in evidence-based practice and the implications for school leadership and management. 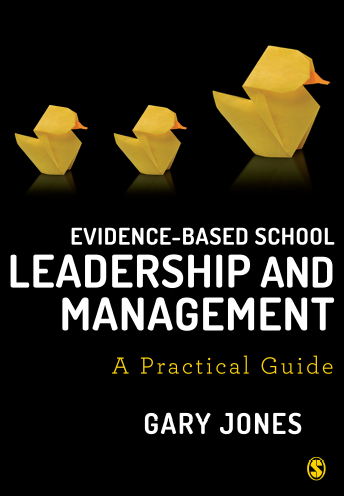 Gary is a Fellow of the Center for Evidence-Based Management and associate of the Expansive Education Network based at the University of Winchester, where he supports teachers engage in evidence-based practice. Gary is also involved in a research project investigating school research leads use of research evidence. 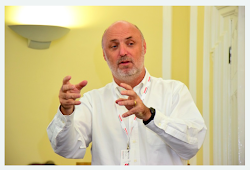 Over the last last two years Gary has spoken at a range of conferences including ResearchED Sydney, Cambridge, New York, Glasgow and Goteborg. Gary has also spoken at conferences organised by UKFEchat, the Canons Park Teaching School Alliance and the Expansive Education Network.